Music Liberation is pleased once again to be supporting this year's Glastonbury Festival Emerging Talent Competition. The competition is open from next Monday (30th) and we would urge all aspiring bands and solo artists to enter, with a chance to play on the main stage at this years festival a pretty big reason to do so. Read below for the full details and be sure to check back on Music Liberation once things kick off! 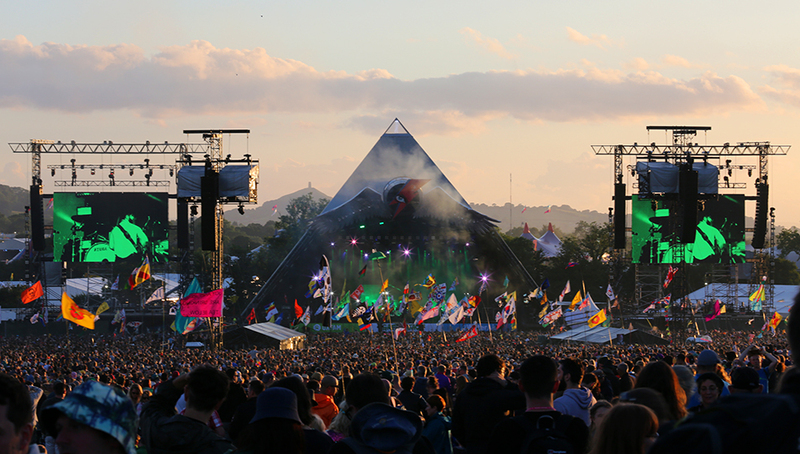 Glastonbury Festival has today announced details of its EMERGING TALENT COMPETITION 2017, which is supported by PRS for Music and PRS Foundation. The competition will give new UK and Ireland-based acts of any musical genre the chance to compete for a slot on one of the main stages at this year’s Festival. The winners of the free-to-enter competition will also be awarded a £5,000 Talent Development prize from PRS Foundation to help take their songwriting and performing to the next level. Two runners-up will also each be awarded a £2,500 PRS Foundation Talent Development prize. Acts from any musical genre can enter the 2017 competition FOR ONE WEEK ONLY from 9am Monday 30th January until 5pm Monday 6th February 2017 via glastonburyfestivals.co.uk. Recent Emerging Talent Competition finalists include R&B singer Izzy Bizu (a 2016 BRITs Critics’ Choice nominee and winner of the 2016 BBC Music Introducing Award) and singer-songwriter Declan McKenna, who won ETC 2015 and has subsequently signed with Columbia and been longlisted in the BBC’s Sound Of 2017 poll. Last year’s ETC winners were politically-charged Merseyside band She Drew The Gun, who have since released their critically-acclaimed debut album. To enter, acts will need to supply a link to one original song on SoundCloud, plus a link to a video of themselves performing live (even if it’s only recorded in a bedroom). Once the entries are in, a panel of 40 of the UK’s best music writers will help compile a longlist of 120 acts. The longlist will then be whittled down to a shortlist of 8 artists by judges including Glastonbury organisers Michael and Emily Eavis, before the live finals at Pilton Working Men’s Club in April decide the winning act. For the past three years, all eight of the finalists were offered slots at that year’s Festival.